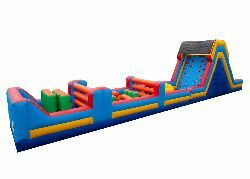 Inflatable obstacle courses are the HOT thing right now! Obstacle courses test your skills on many levels and are great exercise. 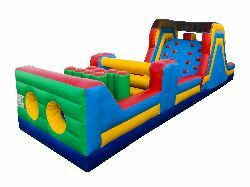 What better way than on an inflatable which provides a safe yet challenging environment? 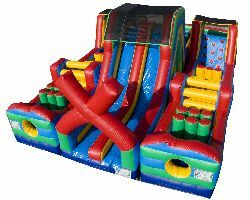 Our obstacle courses range from short to long, from difficult to extreme! 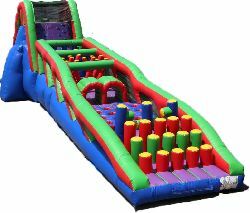 Our longest inflatable is a whopping 65 feet, and is sure to wear down the toughest competitor!